In the theatre of war, time is of the essence. Seconds can literally make the difference between life and death. So, when setting up a military field hospital speed is absolutely essential. It needs to be up and running ASAP. No question. 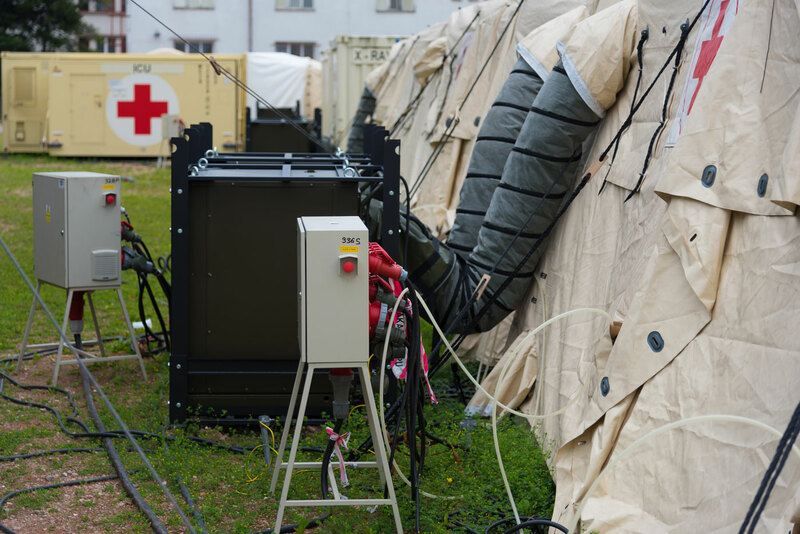 Clarke Cable was approached to design and develop a product that not only speeded up the time in which a military hospital can become operational, but also to ensure that the power source was reliable and engineered to the correct specification for each medical department within the hospital. Using H07RNF on single phase circuits, powered from a generator, our solution deploys the power exactly where it is needed. We developed 10 different applications, with each cable power string specified for a different medical department. 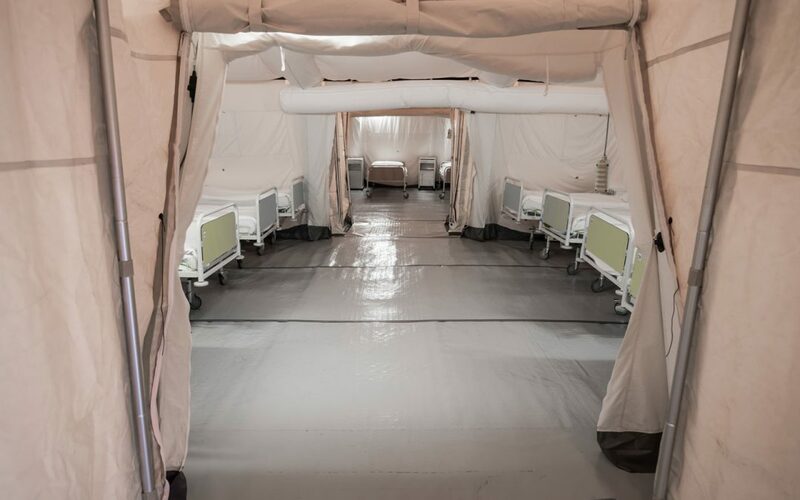 A customised number of drops and connectors were required to fit the footprint of the separate field hospital departments, each in its own tent. Departments included: operating theatre, resuscitation, pre-op, post-op recovery, sterilisation, intensive care, diagnostics, pharmacy and laboratory. The connectors were designed so that only the items of equipment they are designated for will correctly fit onto each one. This not only speeds up the installation by helping to clarify which equipment goes where, but also prevents potential medical equipment malfunctions from mis-connections. From design to delivery took just 3 weeks.